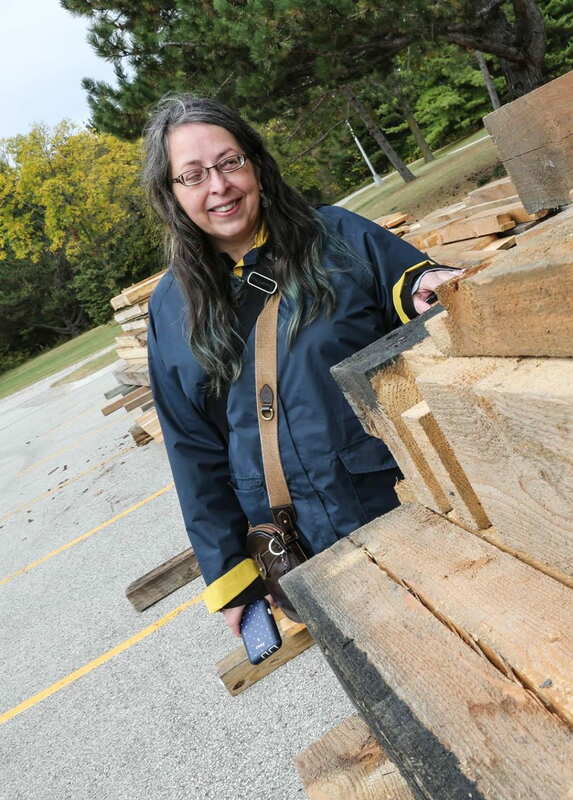 UW-Green Bay Associate Prof. Heidi Sherman (History), who is the curator of UW-Green Bay’s Viking House, will be off to Scandinavia next year as the 2019 Viking Connection apprenticeship recipient. Viking Connection is an outreach program run by the Historical and Cultural Society of Clay County, Minnesota. 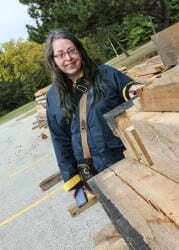 The program is committed to preserving and presenting Viking Age folk art in the the Midwest. The Viking Connection Apprenticeship Program provides an opportunity for students of Viking Age crafts to study under a skilled master artist in Scandinavia. Learn more about Viking Connection by visiting its website. During her time in Scandinavia, Sherman will look to further develop her skills in processing flax to fiber. Spinning, weaving and learning more about nettles or hemp fibers may also be a part of her study. 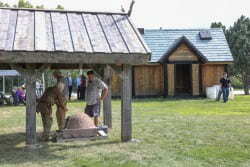 There are opportunities to learn more about the Viking Age right on the UW-Green Bay campus thanks to the Viking House. 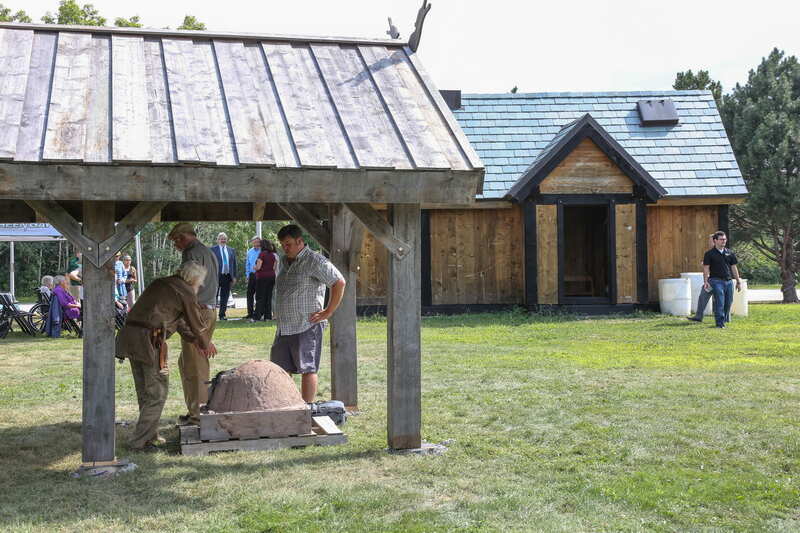 Donated by Owen and Elspeth Christianson, the Viking House replica moved onto campus in Fall 2017. The Norwegian timber-framed house was built based on careful researching of Viking Age building traditions in Norway. Learn more about the Viking House, and be sure to check out Viking House events. This entry was posted in News and tagged CAHSS, faculty/staff, History, Viking House on September 12, 2018 by Editorial Student.